We all like to look at dozens of pictures and read the detailed descriptions of properties that are on the market but to make an informed decision, you need to look at the numbers. Yes, it’s less glamorous but necessary. 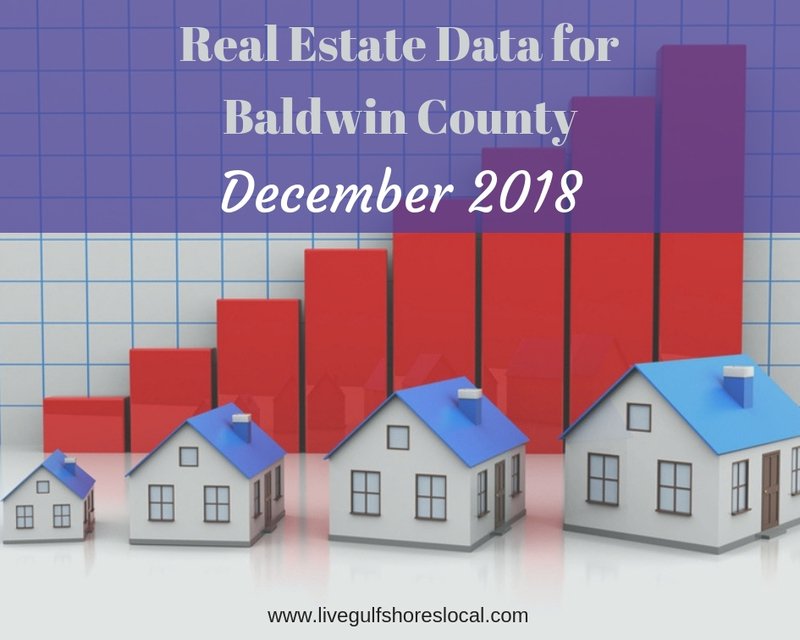 Baldwin County Real Estate Statistics are out for December 2018! Below you will find the major cities and real estate markets in Baldwin County AL, including information on both, Sold and Active homes. You’ll see average prices, how many days on the market, average price per square foot, and the average ratio of listing price to selling price. All of the figures below are generated from the real estate activity from Baldwin County in December 2018 for the cities of Orange Beach, Gulf Shores, Foley, Fairhope, Daphne, and Spanish Fort. This data does not include real estate sales from the smaller towns of the county. Just when you thought everyone was tapping out from buying Christmas presents, the Baldwin County real estate market had another great month. A whopping 360 single family homes and condos sold last month for the major cities of Baldwin County. And, that doesn’t even include the smaller towns of the county, commercial sales, or land sales. You can tell by looking at the selling to listing ratio that Baldwin is still in a buyer’s market with buyers getting anywhere from 96% to 97% off the list price depending on what city you’re analyzing. With an average of over 11.6 closings every single day in December (during the holiday season), I would say that the market is hot in Baldwin County. If you’re buying a condo at the beach, units in Gulf Shores are selling for $36 less per square foot (on average) than their sister city, Orange Beach. For single family homes “close” to the beach, Foley homes are selling for nearly $102 a foot less than those in Orange Beach and $47 less per foot than single family homes in Gulf Shores. For single family homes on the Eastern Shore, Daphne homes are the least expensive selling at $105 per foot, followed by Spanish Fort at $113, and then by Fairhope at $159 per foot. For single family homes, Daphne has the best deal at $105 per foot followed closely by Foley at $107. Understand that in this article I’m only covering the 6 major cities of Baldwin County. Towns like Robertsdale, Loxley, or Elberta may even be a better deal. Contact me for the real estate statistics for these cities. Click on the image above to use this interactive stat maker. Click then scroll down. For the month of December, there were a total of 450 sales for both single family homes and condos. This is a 4.3% decrease over homes that were sold in December of 2017. Median = the middle value, out of all the home prices this is the price in the exact middle – not average. Half of the prices are listed both above and below. The median sales price has decreased 3.3% from the same time last year. Average = taking the sum and dividing it by the number of prices. The average sales price is 5/9% lower than from December a year ago. Days on the market is a great indicator of the pulse of the real estate market. You can see here that demand is much larger this year than last year. These numbers indicate a 9.1% decrease for time on the market. There was only a 17.3% increase in total listings from a year ago. Months of supply = the inventory for sale divided by the current monthy sales volume. The real estate market is said to be balanced at a 6 months supply. Baldwin County has a 7.3 months supply which is a 22.5% increase from a year ago. These numbers indicate that there are more homes and condos for sale than there are buyers. Baldwin County is currently in a buyer’s market and generally should be able to realize a reduction off the list price.